The power of steam has been used for eons for cleaning and disinfecting and now you can harness this awesome power right in the comfort of you own house. 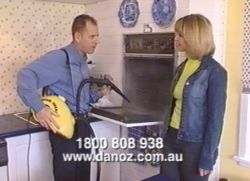 Danoz Direct has taken away the need to resort to harsh and dangerous chemicals by bringing to the general public the Steam Dream. For too long we have relied on cleaning products that are rife with warnings about how dangerous and harmful they can be to our eyes, skin and so on. With the Steam Dream you can kill powerful grime and dirt in the shower and the kitchen and it is also great for taking stains out of carpet without the chance of bleeding and discolouration of the fabric. The Steam Dream comes with lots of attachments for almost every job imaginable including killing weeds in the garden and detailing the car. And with Danoz Direct you can be sound of mind with the unconditional 30 day money back guarantee and a full 12 month warranty.